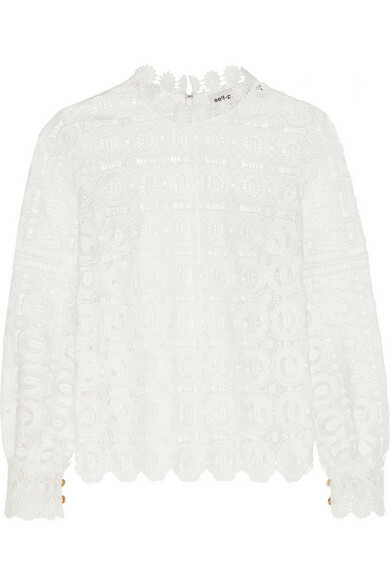 Style Theory: January is a lonnng month so what better way to make it a little better than a little payday treat. Here is a few items I have my eye on that will brighten up this rainy January and February..
Another peplum top, this time it is a black knit with a cool skirt detail. This sweater looks fab with skinny ankle length jeans (either black or blue) and heeled boots or trainers. It is a beautiful twist on a plain black crewneck and just a little more stylish. A slightly more 'spendy' option, I have been stalking this top for a while and it has just come back into stock, no doubt will sell out again soon. 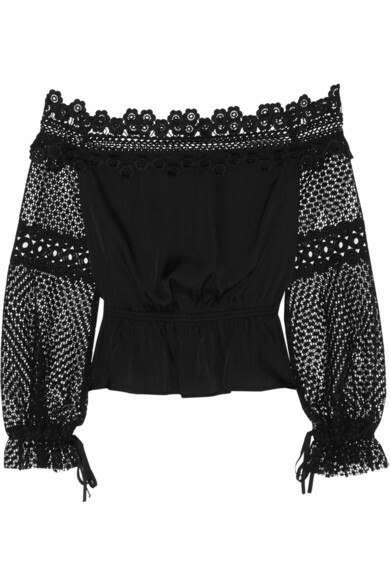 It sits beautifully off the shoulders and is a truly decadent top made with lace and crepe de chine ( it will hang beautifully on) It would look amazing with black cropped kick flare jeans and heels for a stunning 'night out' look. Another top I have had my eye on for a while, this is a beautiful lace top, a step above my other tops, beautifully finished around the neck with gorgeous details like the buttons on the cuffs. It looks beautiful on and will see you through the year, wear now with a chunky cardigan and jeans, in the summer wear with denim shorts and flat tan sandals. 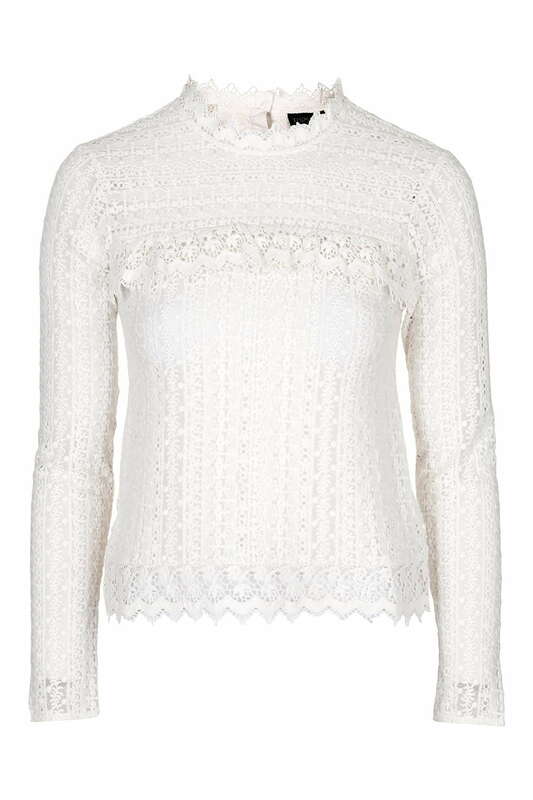 A slightly more affordable version of the top above, it looks gorgeous 'in real life' quite vintage looking and would be the perfect addition to a Spring wardrobe. 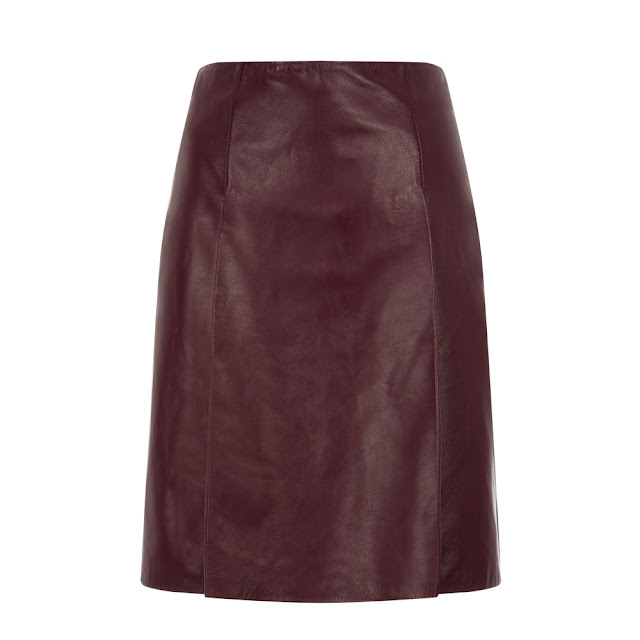 I have this skirt and absolutely adore it, it is made of the softest leather I have ever felt, it is a great length (sits on my knees) and can be so easily dressed up with a blouse, opaques and heels or dressed down with trainers and a grey t shirt. 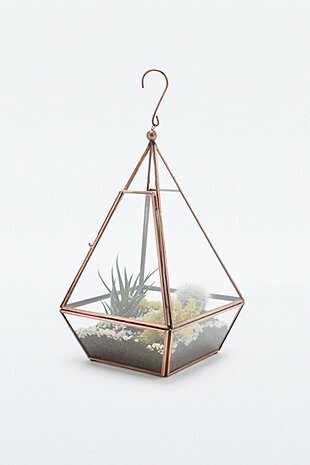 I love mixing it with different tones of pinks for a cool spring look as I did for a meeting below.. Since I saw this photo on Noholita's instagram I have been looking for a pair of grey trousers. 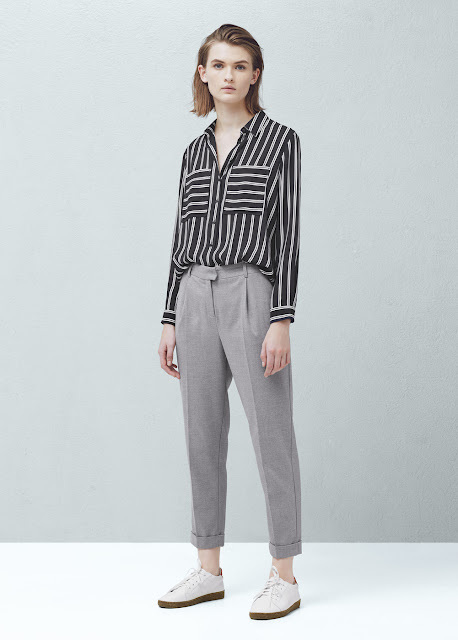 I spotted the trousers below in Topshop but did not have a chance to try them on, I have ordered them so will let you know if they are slouchy enough to create the look above. If not, I tried on the Mango trousers below and they look pretty good so I will order these as well and compare the two..
My current trainer obsession, cool, practical and very Spring 2016.. This smells utterly gorgeous, it will being a beautiful candle light and fragrance to your home through these cold, dark months.. If you are like me, your skin looks pretty dull at this time of year. I am pretty late to jump on the Liz Earle bandwagon but I cannot believe it took me so long. I was bought this Liz Earle set by a lovely friend for my birthday and I adore it. It makes my skin feel clean, refreshed and rejuvinated. 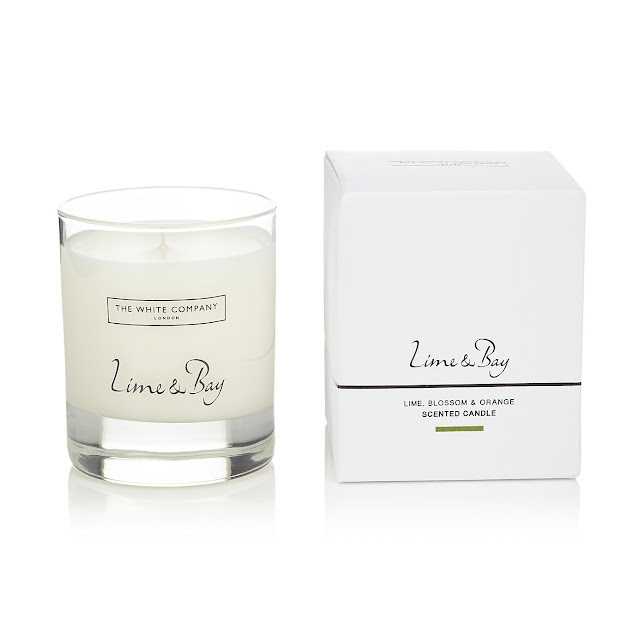 It smells amazing, very natural and is super light on my skin. I am a Liz Earle convert.. So a little random list of things that I would love and have also brightened up my January (my birthday in the middle is a big bonus) Have you treated yourself to anything this January, have you got anything on your January payday treat list? Do you know if those Dolly Bow trainers run true to size? I'm between 3 and 4 and I never know which ones to get. 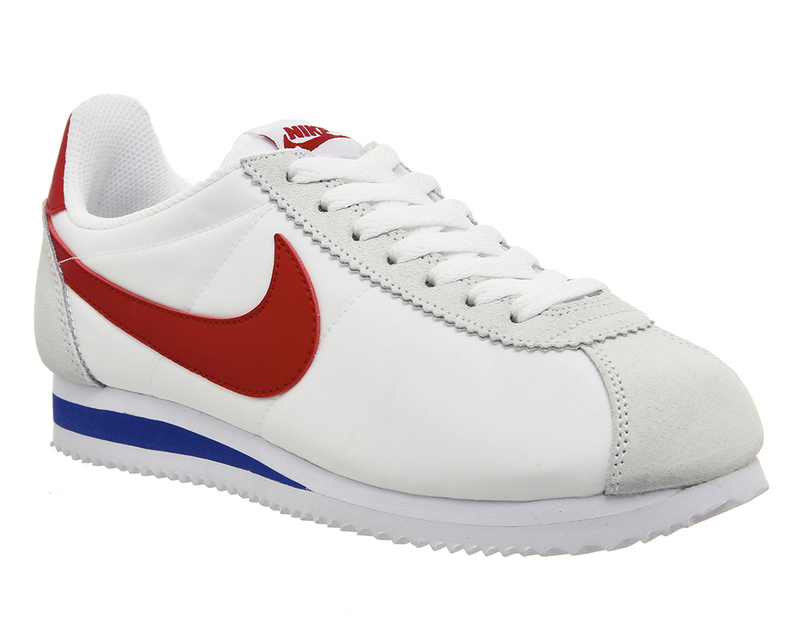 And I love the Cortez trainers too! 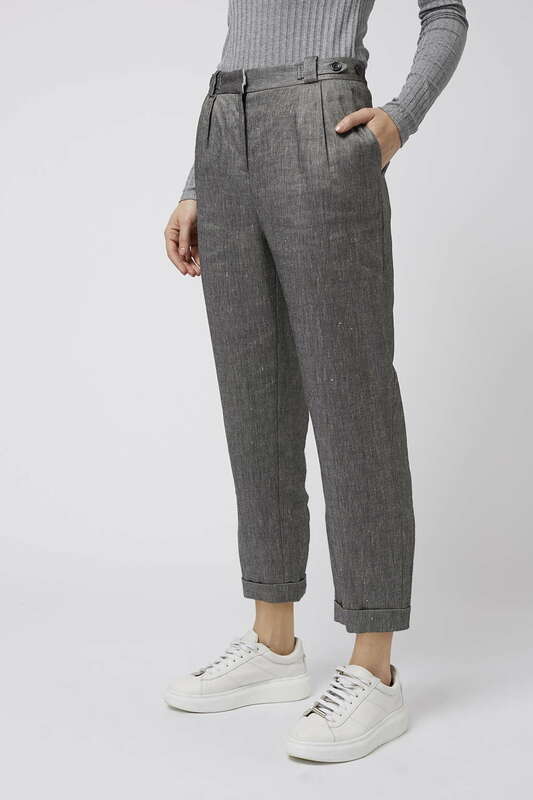 I need to stop wearing jeans as I'm starting to annoy myself with my lack of outfit inspiration so will have a look at the grey trousers - they look so good! 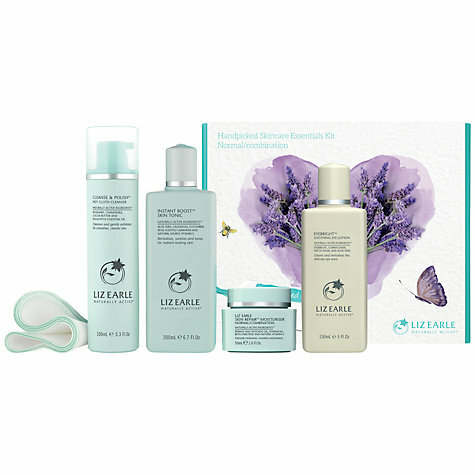 I have just started using Liz Earle too and am a complete convert - its the best skincare I've ever used! You are looking really nice, Thanks for sharing.